Hand crawls around when sound activated! "Honey. It happened again. Frankie left his hand behind." Even monsters made by the top mad scientists fall apart every once and awhile. And if your favorite reanimated monster happened to leave his hand behind at your house, well, the question we have is do you think he would mind if you borrowed it for the rest of the Halloween party? Save yourself the awkwardness of THAT situation, and just get this crawling Monster hand. It's creepy and it's kooky and it most definitely is spooky! All your guests will be clamoring to find out... is it REALLY alive? (You don't have to tell them!) 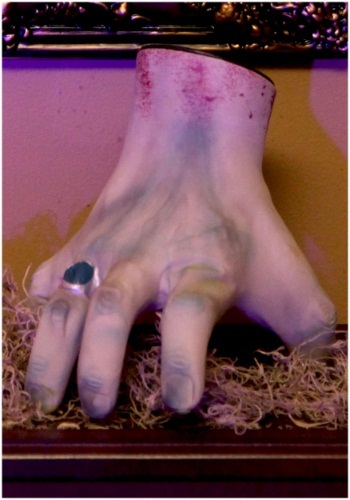 Set this prop up to complete your Halloween scene or use it to make all your friends screech when they find a creepy hand crawling out from under the bed. 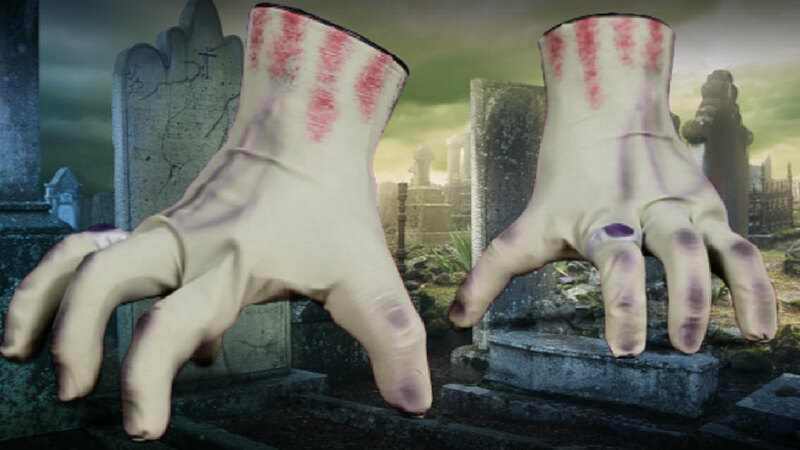 Whether you're putting together Dr. Frankenstein's evil laboratory or even if you're turning your home into Addams Family house, this detailed moving hand will be the perfect addition to your scene!